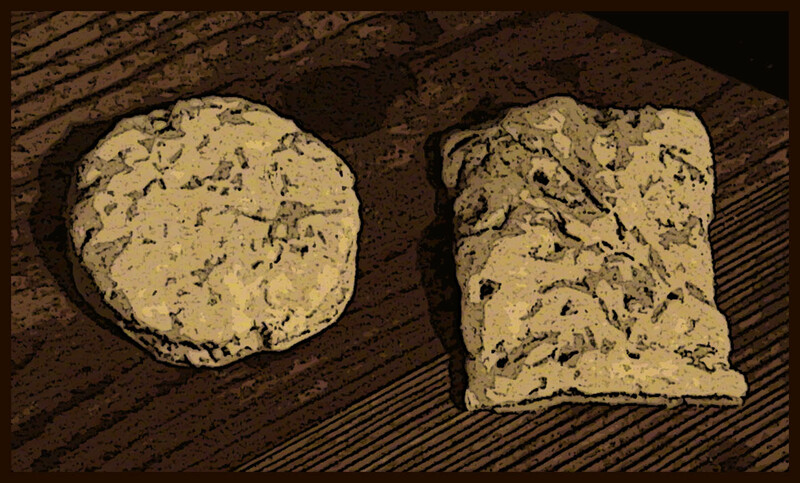 Frodo and Sam rationing out the lembas bread. Green Arrow reaching back to find his quiver empty. Deadpool counting his bullets as he fires. Any horror movie where the flashlight runs out of battery power. Many times in games the minutia of ammo, food and water, and other such small items are overlooked. But in some cases knowing how much or how little you have can lead to interesting turns of events. Along with encumbrance many GM's decide to "hand wave" these seemingly minor details. In most cases this is perfectly acceptable. I myself as a GM very rarely ask how much food my players have or keep track of non-magical ammunition. But there are some instances where I think it's not only important but necessary to invoke the feeling of a certain type of game. First I want to talk about encumbrance. Although I too sometimes overlook how much an individual carries, I have seen on many occasions where a character with STR as a dump stat is carrying around a bag which includes everything and the kitchen sink without any ill effect. I’m currently playing a low STR character who gets medium encumbrance with just his armor and weapons. To a degree glossing over the encumbrance rules can make for ease of use, but only if the GM does not allow the players to take advantage of this oversight. 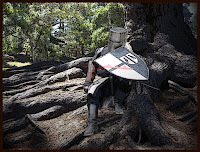 Some of the other aspects of the game that are often overlooked include: fatigue from lack of rest, characters sleeping in their armor, and environmental conditions such as heat and cold. When was the last time you forced the players either fight without armor or don their armor while getting ambushed in the middle of the night? If your characters do sleep in their armor, how many times have you or your GM used the rules that fatigue the character? Limited sight through rain, exhaustion from heat conditions, frostbite from the cold, and many other challenges of the environment are very rarely used to hinder the players. These things can all be used to help with immersion into the world for your players. As for the other aspects of minutia, in some cases keeping track of these small items is important for the balance of a specific class. Gunslingers in particular are balanced by the prohibitive cost and weight of their bullets and gunpowder. Playing a pistol-wielding character myself in one of my games, I keep a studious record of the amount of ammunition I have for my two pistols. Specific types of games sometimes make keeping track of exact amounts of equipment an important aspect of the game. Intense "survival" games where the characters are trapped in a certain area or are being constantly harried by an enemy through unknown territory make things like knowing how much food, water, ammo, light sources, and any other number of small considerations important. The feel of these types of games are based on the fear of being unable to outlast your opponent or survive the environment. These types of games are not for everybody, and keeping track of the minutia can be a difficult prospect—especially when you have players who don't update their sheets. But the next time you run your game think about what you consider too minor to pay attention to. You may just challenge your players by informing them when they're down to their last arrow, or making the search for food just as important as defeating the next enemy. What things do you consider too small to pay attention to? Have you effectively run a survival game where you keep track of every little thing? Tell us your stories of desperation and loss. The CRB is a labor of love but also a second full-time job. Content blogs rely on the people who enjoy them to keep making it viable to put out that content. Please consider becoming a patron of the CRB today for as little as $1. For more from me and my thoughts on gaming, check the CRB out on Twitter where I live tweet my weekend games. The CRB is also on Tumblr where I post some great and inspiring fantasy art as well as large commentary about my gaming experiences. Become a part of the CRB family on Facebook. If you’d like to receive the CRB right when it posts, try out KindleSubscriptions which will push the CRB right to your Kindle. Ever heard of Torchbearer? It takes minutia to a whole new level. The whole game is about the minutia of dungeoncrawling. Ive heard of it but never really looked at the books.